One of the most common foot ailments, plantar fasciitis, may be keeping you from enjoying all of the activities you love. If you’re ready for effective treatment, rely on the board-certified expertise of Richard Hochman DPM, LLC, in Coral Gables, Florida. His office offers technologically advanced nonsurgical therapies that harness the power of your body’s own healing process to treat plantar fasciitis. If you’re ready to learn more, call or book a consultation online today. Plantar fasciitis happens when the plantar fascia, a long ligament running from your heel to the front of your foot, becomes inflamed and irritated. Plantar fasciitis often feels like a throbbing pain in your heel that radiates outward. Plantar fasciitis is also more common in people ages 40-60. An experienced podiatrist like Dr. Hochman knows the right steps to diagnose plantar fasciitis. He listens to your concerns, reviews your medical history, and conducts a thorough examination. He may order an ultrasound to look for signs of inflammation, along with x-rays to check for bone spurs, fractures, or tumors. His goal is to accurately diagnose your condition so he can recommend a treatment plan that’s best for you. 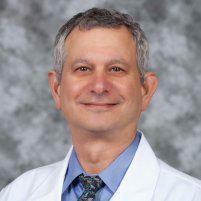 Dr. Hochman generally begins by suggesting conservative therapies. You’ll be advised to rest to give your foot time to heal. He may suggest stretching exercises, medications, and shoe inserts. If these treatments aren’t relieving your symptoms, and you’d like to avoid surgery, Dr. Hochman may recommend extracorporeal shockwave therapy (ESWT). This is safe, quick, non- invasive treatment. ESWT works by sending sound waves into your heel to break up damaged tissues. This process triggers your body’s own healing process and creates new blood vessels to ease your pain over time. You should be able to return to most normal activities the next day, being mindful to take it easy until fully recovered. If heel pain is bothering you, and you think you have plantar fasciitis, it’s time to call the only center in Coral Gables with shockwave therapy. Call today or schedule a consultation online with Richard Hochman, DPM — and put foot pain behind you.